Aluminum extrusions have countless benefits, almost all of which can benefit the medical and healthcare industry. Aluminum extrusions for the healthcare industry allow for flexible designs that can help meet very specific needs. All patients are unique, so the machines, devices, and tools needed for the healthcare industry also vary dramatically. Aluminum extrusions make highly specialized parts that are designed to fit these very specific needs. From oversized aluminum extrusions to micro extrusions, we will review why aluminum is an ideal choice for medical products. Why choose aluminum extrusions for the healthcare industry? Durable – Post extrusion processes help make medical devices resistant to the environment, chemicals, and abrasiveness, allowing for products that have long-lasting strength and reliability. Flexible design – With modern technology, medical devices are often electronic and computer- This means that these machines need very specialized, small parts. Aluminum extrusions allow for highly specific designs to meet these needs. Alumimum extrusions are key components in patient handling systems as well as patient care systems example https://www.hill-rom.com/usa/Products/Category/Patient-Handling/ these systems create a safer, better patient experience while decreasing the load requirements on the caregiver. 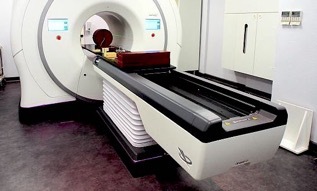 Previously, 64 mechanical ‘leaves’ in the machine were coupled with pneumatic actuators, opening and closing to deliver a prescribed radiation dosage. Occasionally, these couplings would break and cause the machine to shut down. The objective was to redesign these couplings to improve the system’s up-time while reducing part costs and manufacturing complexity. This is where aluminum extrusions came in. Rather than using EDM steel coupling, they were replaced with aluminum extrusions (6063 alloys that were hard coat anodized). They tweaked the parts’ design for improved strength and durability and, as a result, there were no failures throughout a 10 million cycle test regimen. Overall, this ‘snap fit’ assembly cut labor by 30 to 60 minutes per assembly and cut component manufacturing costs by nearly 90%. How Taber can provide you healthcare solutions? Take our work in microextrusions for medical devices for example. We have helped companies that create life-saving devices and want to continue to expand our collaborations in this industry. ‘Good products at low costs’ is what Taber tries to provide to its customers and the healthcare industry is the perfect place to do that. Founded in 1973, Taber Extrusions originally pioneered a process for extruding rectangular billet which enables the company to extrude solid profiles up to 31 inches wide or hollows up to 29 inches. Taber expanded with the purchase of an extrusion facility in Gulfport, MS in 1995 which houses a new state of the art cast house, two additional presses, and a fabrication area that has been expanded multiple times. Taber continues to extrude billet in a wide range of alloys. and sizes.